Taking a morning bath with my Christmas dinner is growing stranger by the day. While many Christmas cooks will opt for an encore performance of a holiday gobbler or a stereotypical honey baked ham, I on the other hand have taken the challenge of raising a Christmas Carp. Elaborate holiday fish meals are more generally associated with the Christian season of Lent when fish are the only acceptable meat to be consumed on Fridays, or during Jewish Passover with a delicious Gefilte fish. 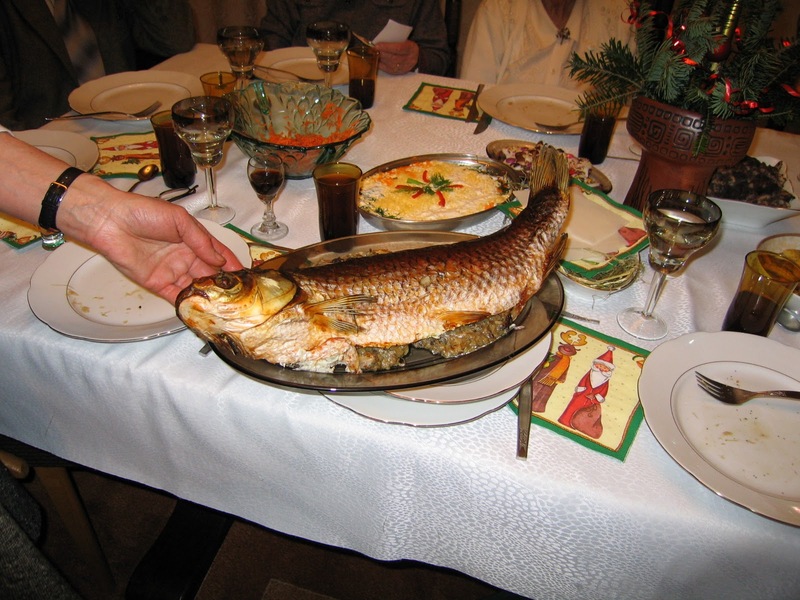 However, in the Czech Republic and Poland, a Christmas Carp creates the centerpiece of a rich meal on the crowded Christmas table. As a person who enjoys all things fish, this dish sounded like a worthy challenge. The key to this elaborate dish is a fresh carp…no frozen fillets. With an already cramped holiday work and family schedule ahead, procuring a fresh fish close to Christmas day would be nearly impossible. A similar issue has arose in recent years in the Czech Republic where increasing demands led to shortages of fresh carp in the week leading to Christmas. In response, people purchase their Christmas Carp earlier in December and hold it in their bathtubs. In true spirit of the tradition, I too chose this option to achieve optimal freshness. Being that we are both fisheries scientists, my wife didn’t initially mind my idea, and even relished the thought of a giant fish swimming in the bathtub for a week in preparation for the Christmas feast. Her sentiments, though, would be short lived when I showed up with a fish several weeks earlier than expected. My intentions were not to procure a fish so early in the season, but when an opportunity presented itself, I was forced to act. Fishing simply for fun, my fishing rod bent deeply, bowing to the surface of the pond in homage to the beast on the other end of the line. 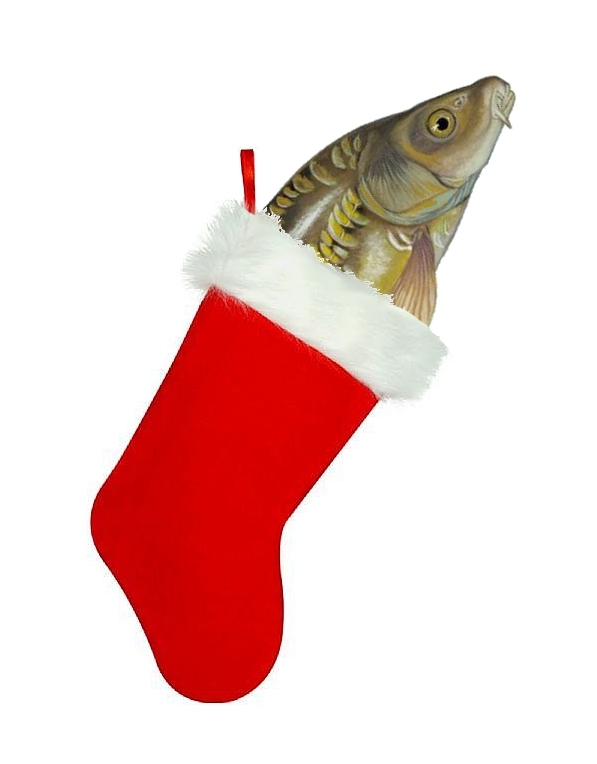 I realized while struggling to reel the behemoth in that my Christmas Carp had arrived early. As the leaves fall and the days get shorter, my Christmas Carp awaits. He passes the time by eating meals of canned corn and constantly checking the other end of the tub to see if anything has changed from the last time he was there. I wonder if it will all be worth it. Will my meal fall under the general curse of the holiday season where there is often more anticipation than execution, more flare than flavor? 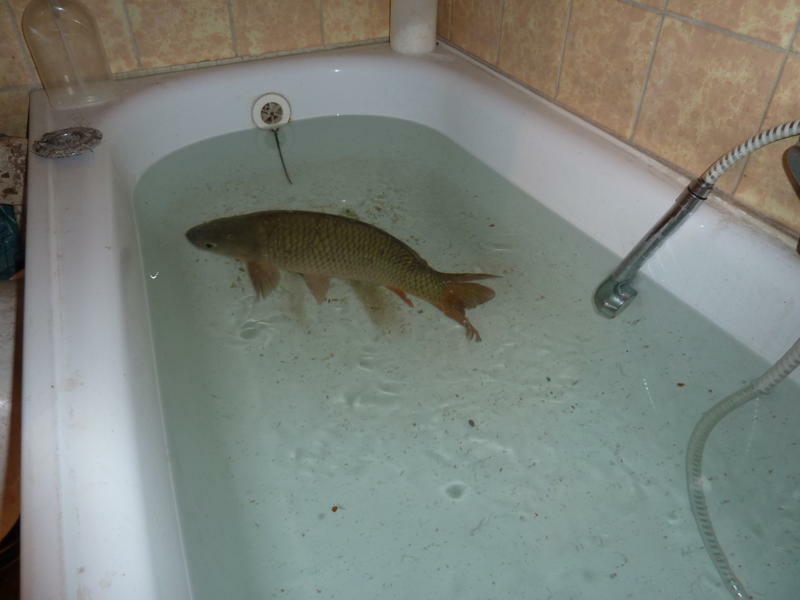 Or will this fish in the tub become my new tradition? Only time will tell. As I have said to others who question if I am crazy to keep a fish in the tub: Take a look around and see if you have a dead tree in your house or an inflatable cartoon character on your lawn. Maybe one day my current experiment will become the norm like these other accepted holiday traditions, and you too will share a morning bath with a Christmas Carp. 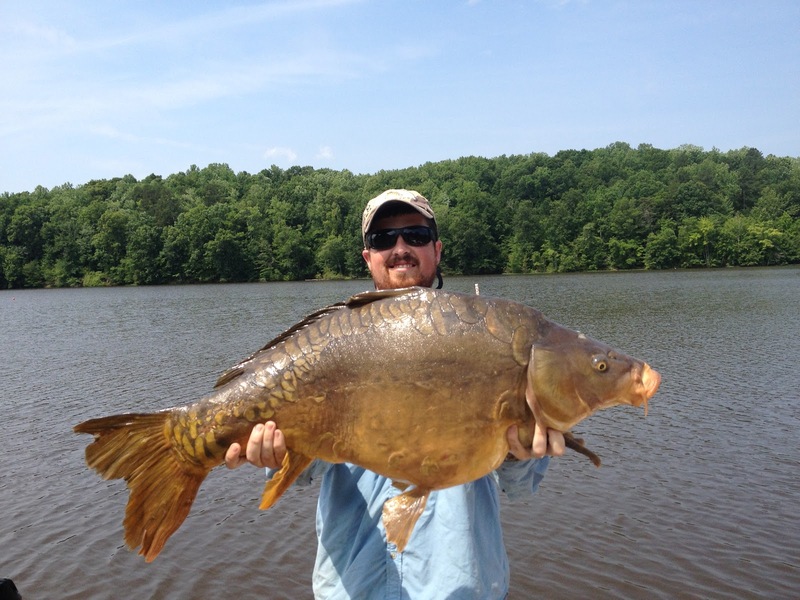 This is our 50th weekly post at The Fisheries Blog! 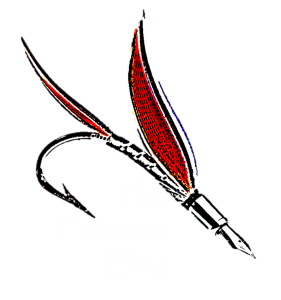 Be sure to ‘Like’ us on Facebook, follow us on Twitter (@FisheriesBlog), or enter your email on the top right corner of the site to receive an email with our weekly post. I did the same thing with my turkey for Thanksgiving. My carpet will never be the same. I….have no words. It's a good thing carp aren't smelly or slimy. Oh wait. Very entertaining post. I've always heard Carp taste terrible. There is someone in UK who does not like fish at all, what about ocean fish? Do you leave them alone too? By the way, clean carp from fresh waters taste delicious, you would not be disappointed, only research how to filet carp, there is special way to do it, unfortunately carp has many small bones you have to be cautious not to swallow. I'm guessing it's not a fan of sharing the bathtub if you ever need to wash? You must wait to take bath affter you kill a carp.